Don’t Scratch up your table, use this set of two dishwasher-friendly silicone record placemats to lay down the right groove for dinner. 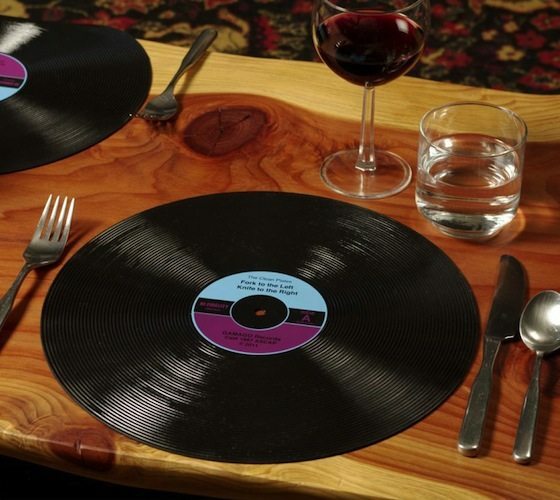 Slip these records out of their sleeve and put a new spin on dining. Breakfast, lunch, dinner, you can rock around the clock with this easy to clean, dust-resistant placemat. And when you serve fish, make sure to crank the Bass.